In these austere times of high unemployment and cuts to essential services, the Somali community in North Kensington is probably better prepared than most to cope. They have, after all, been living with austerity and economic hardship for years. A detailed report by Kensington and Chelsea Social Council describes Somalis in the borough as a ‘Community in crisis’, outlining the many problems to affect the London section of the Somali Diaspora. The problems identified range from high levels of unemployment to drug addiction, a lack of integration and low educational attainment. Raising educational standards is identified as the key to improving integration and enhancing the lives and prospects of this and future generations of British Somalis. Given the right conditions, Somalis will prosper. According to Abdullahi Ali, co-ordinator of the Baraka Youth Association in North Kensington, Somalis have a natural flair for entrepreneurship: “Somalis are naturally business-minded people. We put in long hours to make our businesses work. This comes from Somalia itself, where opportunities to get rich are limited and so feeding your family is the biggest motivation”. Baraka Youth Association (BYA) has been aware of the needs of the community for the past decade and has worked tirelessly to help improve the lives of young Somalis and their parents. BYA’s activities include supplementary schooling for GCSE and ‘A’ Level students, English lessons, football coaching every weekend, gym and swimming sessions for children, as well as advice sessions and IT classes for adults. 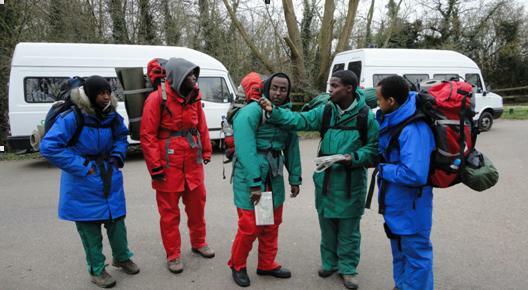 BYA takes groups of local children on an annual field trip to East Sussex and this summer is taking a group of young Somalis to Gothenburg, Sweden on the first leg of a youth exchange programme. The children have raised the money for the trip themselves. BYA focuses on the twin goals of education and integration, helping young people to improve their grades and therefore their economic and social prospects. BYA also forms part of the Somali Network in Kensington and Chelsea, bringing together Somali organisations of all sizes to organise events and support each other’s work. The network held a successful joint conference on education in March. This work, carried out mainly by volunteers, is set against a backdrop of hardship for the community. But, it needn’t be like that, according to Abdullahi Ali: “We provide role models for the younger generation through our mentoring scheme. We also help boost academic performance. But, we are also interested in pursing other ways forward, like supporting young people to undertake internships and scholarships”. One of Baraka’s schemes is to facilitate Somalis taking up gardening in allotments; “Why not grow and sell our own fruit and veg?” says Abdullahi. “People will see Somalis in a positive light if we engage with them in business”. 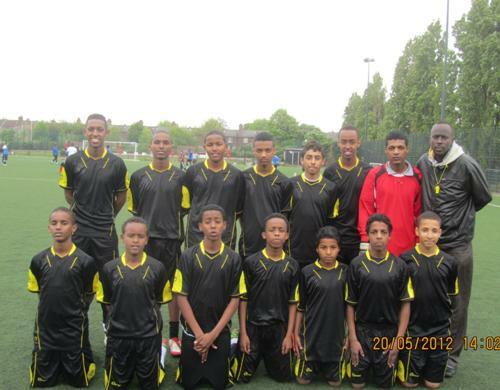 When visiting supplementary classes and football coaching sessions, or visiting its office on Ladbroke Grove, the most striking thing about the Baraka Youth Association is that it is always looking outwards, striving to engage positively and encouraging its community to give to society in order to get more back. For information on Baraka’s supplementary schools and free sports activities, contact Abdullahi Ali on 07949 727322.